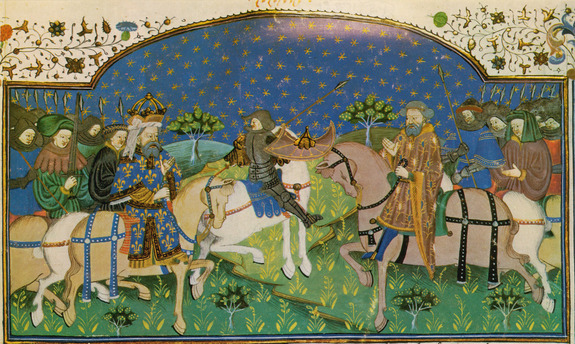 Franconian Empire / Charlemagne’s battles against the Arabs in Spain, 778. 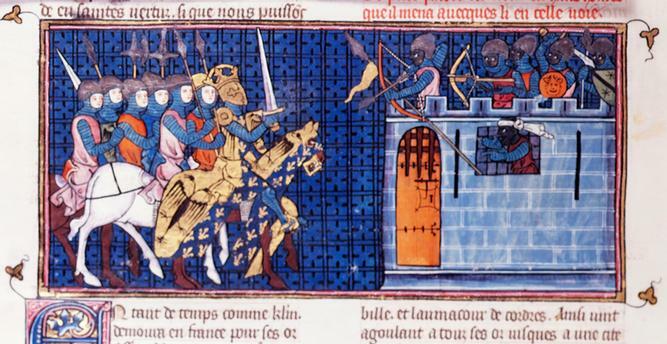 Charlemagne besieges Agolant in the city of Agen. 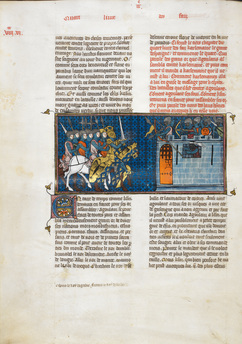 Book illumination, French, c. 1335/40.